All 22 women members call for leadership to bring up bill to reform how allegations are handled in Congress. WASHINGTON — All 22 women senators, from both sides of the political aisle, signed on to a letter sent to Senate leaders Wednesday demanding a vote on legislation that would reform the way Congress handles allegations of sexual harassment. The House passed the legislation in January but it has yet to receive a vote in the Senate. Democratic Senators Kirsten Gillibrand of New York, Amy Klobuchar of Minnesota and Patty Murray of Washington organized the letter to put public pressure on Senate leaders to act. "Inaction is unacceptable when a survey shows that four out of 10 women congressional staffers believe that sexual harassment is a problem on Capitol Hill and one out of six women in the same survey responded that they have been the survivors of sexual harassment," the women wrote in the letter, addressed to Senate Majority Leader Mitch McConnell and Senate Democratic Leader Chuck Schumer. "Everyone deserves to work in an environment free from harassment and discrimination," they added. The legislation was being considered but ultimately not included in a catch-all spending bill that President Donald Trump signed into law last week. Sources tell NBC News that McConnell had objected to including the measure because some senators had concerns with a provision of the bill that would require an accused lawmaker to be personally responsible for any settlements paid. McConnell spokesman David Popp said the majority leader "supports members being personally financially liable for sexual misconduct in which they have engaged." But he added that a bipartisan group of senators are "continuing to work on legislation." Popp would not clarify what work still needed to be done. Two pieces of legislation have already been introduced, including one by Senator Kirsten Gillibrand, D-N.Y., that is similar to the measure passed in the House. Schumer said in a statement, “We strongly agree that the Senate should quickly take up legislation to combat sexual harassment on Capitol Hill." The House bill, known as the Congressional Accountability Act of 1995 Reform Act, attempts to create an equal playing field for those making harassment complainants while also imposing personal accountability on the accused. Just as the accused receives legal support, the bill also provides legal representation for the accuser and eliminates burdensome requirements that often deter women from pursuing a case. Provisions pertaining just to the House went into effect immediately. However, broader reforms, such as the one that prevents taxpayer dollars from being used in settlements, must be passed by the Senate. 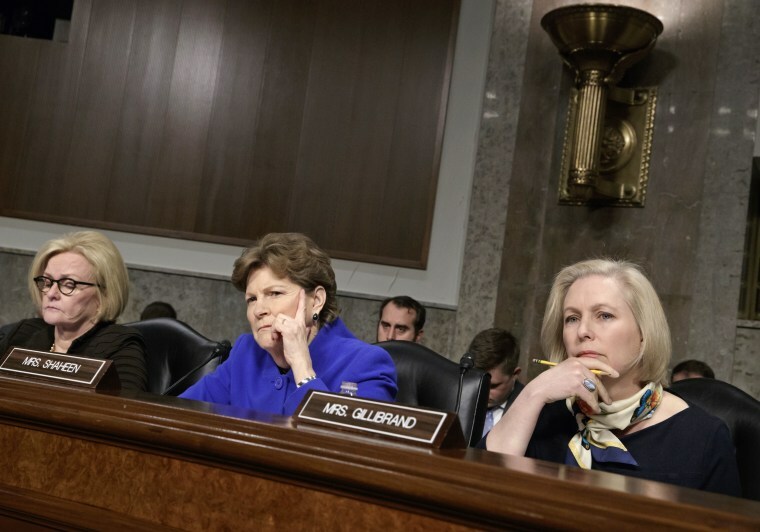 "The Senate must act quickly to provide Senate staff with the same resources as their House colleagues," the women senators wrote.